Youtube is a great platform providing free entertainment and education options in multiple languages. As much as we all love video content available on Youtube, interacting with other Youtube users is no less fun. 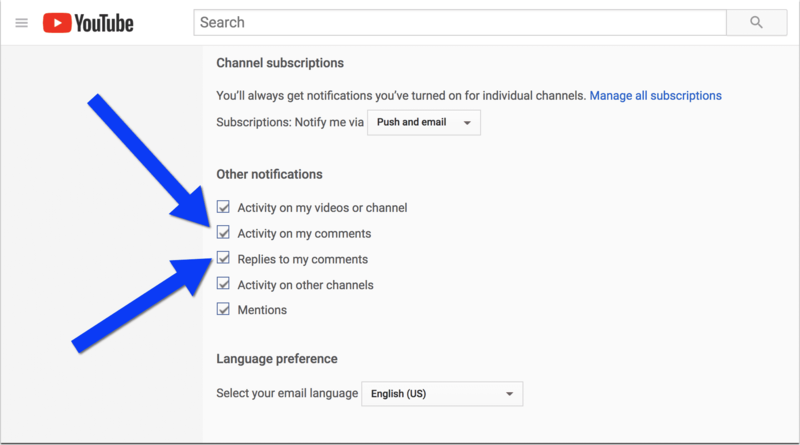 How to See All Your Youtube Comments? 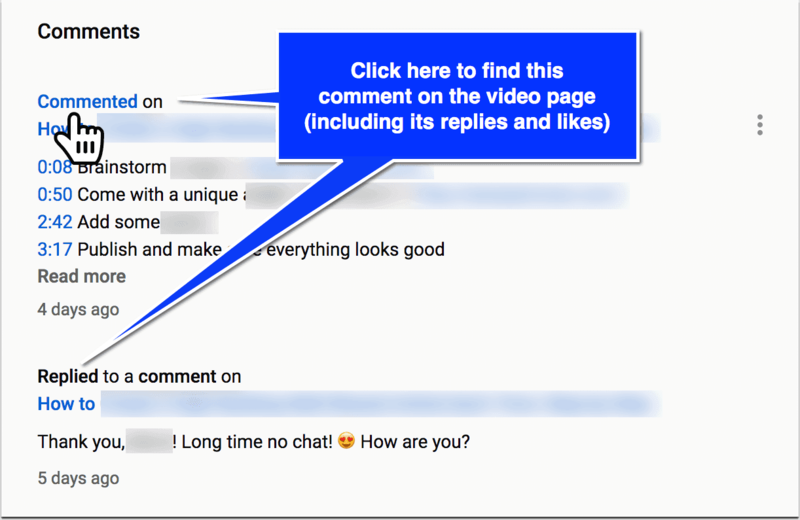 Or simply click this link to get to the comments page (when signed-in to your Youtube account). 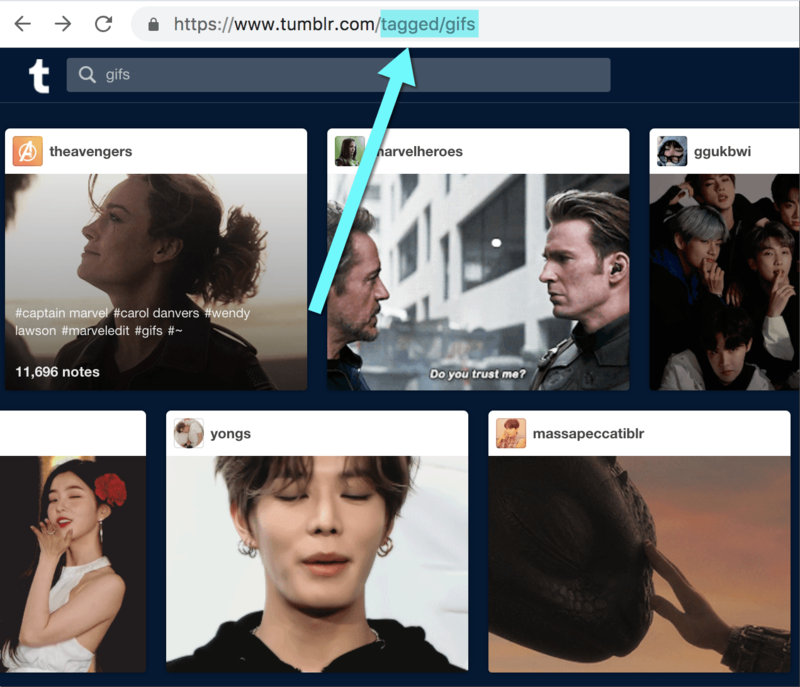 How to Find Each Individual Comment Thread? 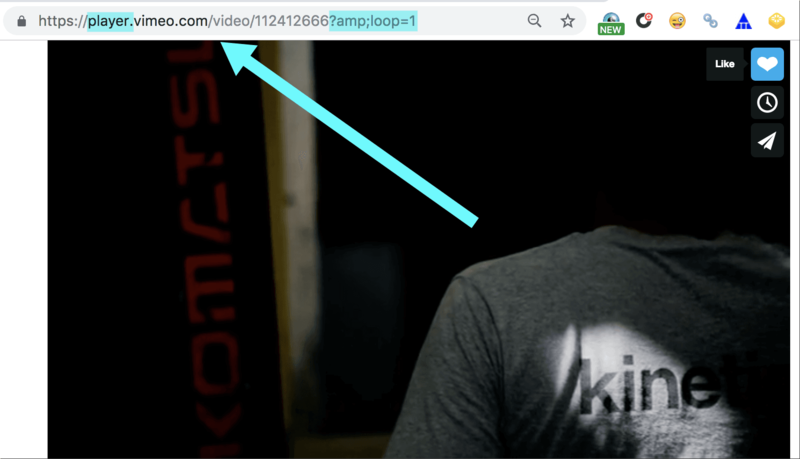 Clicking “Commented” and “Replied” links will take you the actual comment on the video page where you can see if anyone replied or liked your comment. From there you can also delete or edit your comment. The layout may be a bit confusing, so you may find yourself clicking around in an effort to see your comment in the actual video thread. Don’t feel bad: Even experienced Youtubers get confused over Youtube usability. 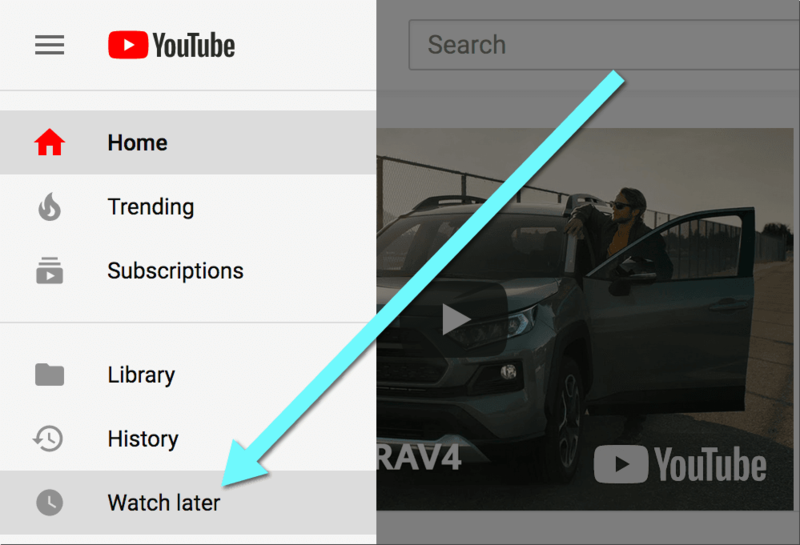 How to Search Within Your Youtube Comments? 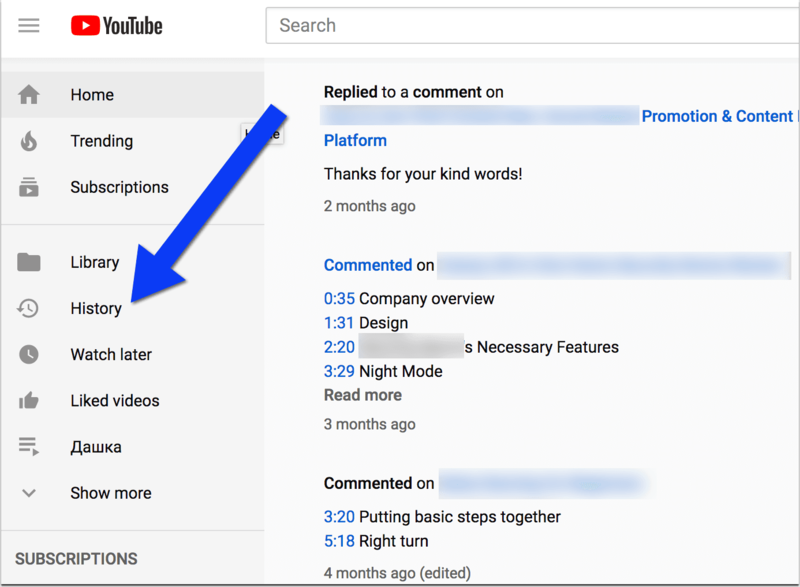 To find new replies to your Youtube threaded comments (to further participate in the conversation), check your Youtube notifications icon in the top-right corner. If there are any new replies, it will display a number. 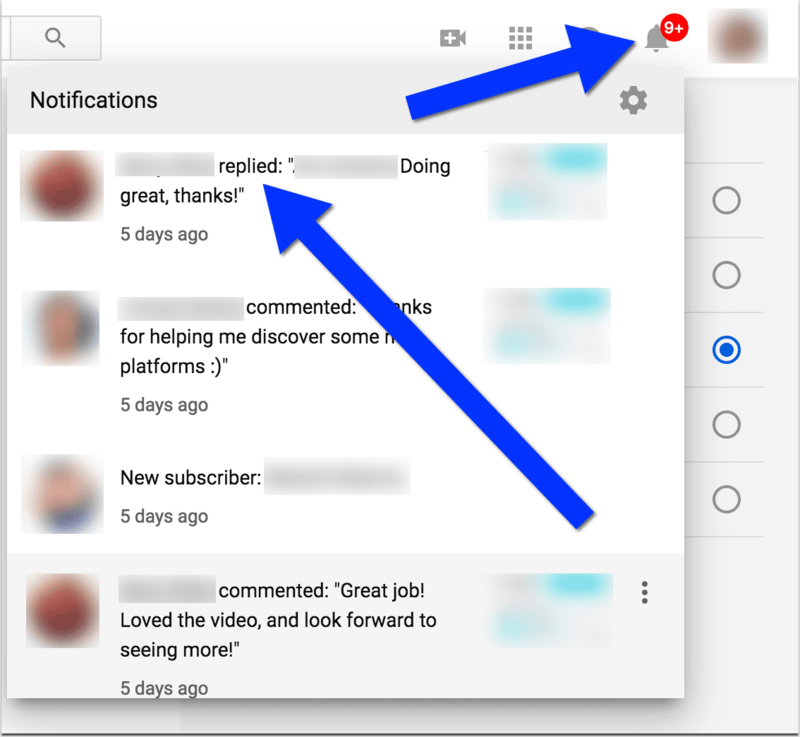 Youtube notifications show updates on all the activity including new Youtube subscribers, new comments to your video and new replies. So you may have to scroll down to find the actual replies. The ability to leave and reply to comments is what makes Youtube a social network. It’s also what makes us return to the same video again and again. Online video content is fun but it’s the social media aspect of it that makes it addictive. 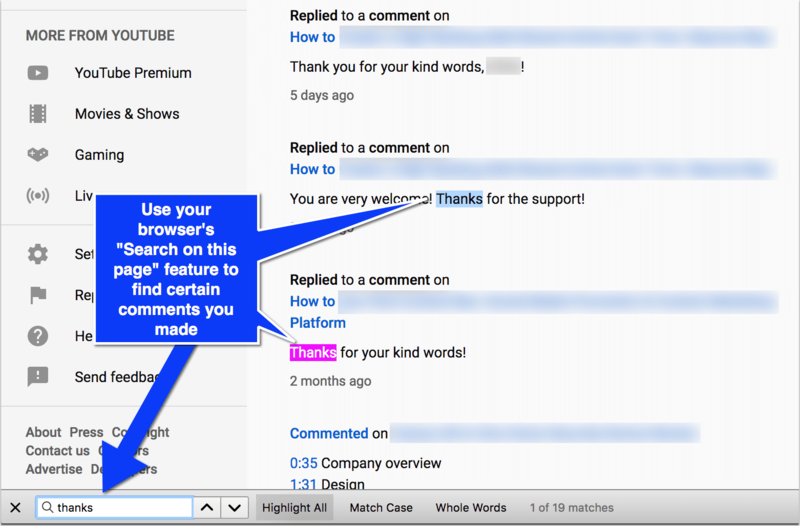 Please let us know if you still have any questions on finding and searching your comments on Youtube.